My classmates were likeable, professionals themselves and the instructor was knowledgeable and friendly, but very much on track. We worked very hard and I had some difficulty, but the instructor was helpful and knowledgeable. 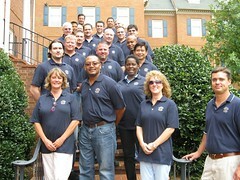 I believe that CED Solutions has provided the best training possible for an MCSE Boot Camp. My training experience at CED Solutions was the best I have ever had. Not only did I become a certified MCSA/MCSE, it also helped me to gain confidence in my abilities and myself.